Audrey and Kevin met in high school and have been together for the 13 years since. Audrey worked at the beach concession at Blackstrap Provincial Park. Kevin would hang around and clean the grill in exchange for free ice cream. 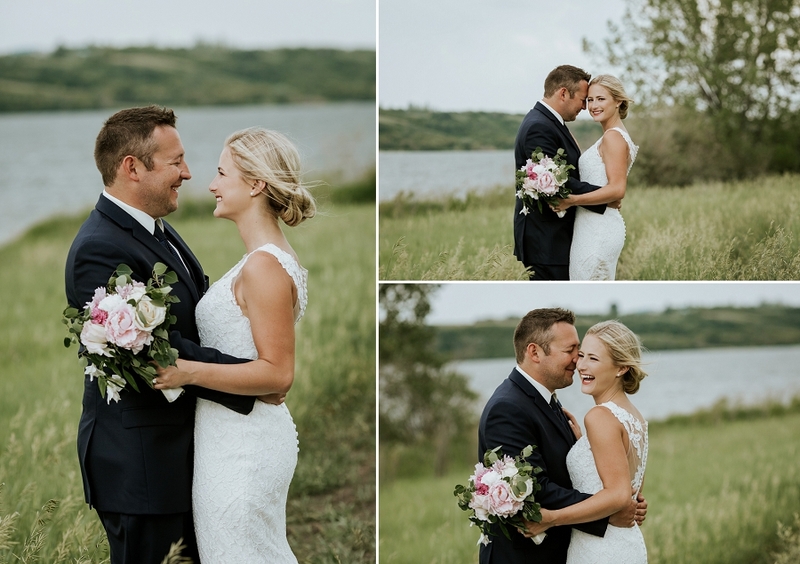 They love getting out on the water, spending as much time as they can boating and fishing on Blackstrap Lake, right outside their back door. 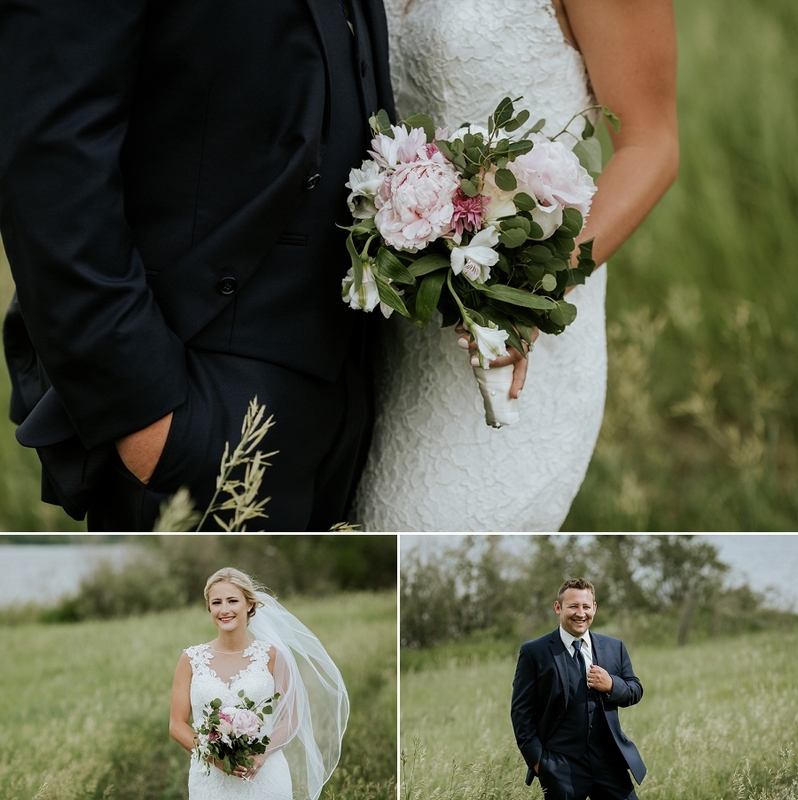 Given that they’ve built their lives around it, it’s no surprise that they chose a Blackstrap Lake wedding. 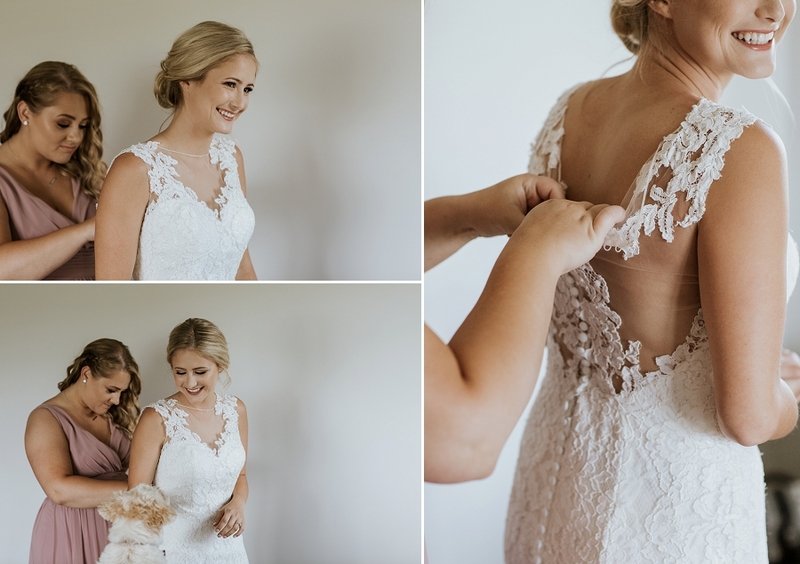 Audrey described their dream wedding as “an easy, go-with-the-flow kind of day filled with lots of love, laughs and fun,” and it definitely came true! Kevin spend the morning hanging out at his brother’s house with the guys. 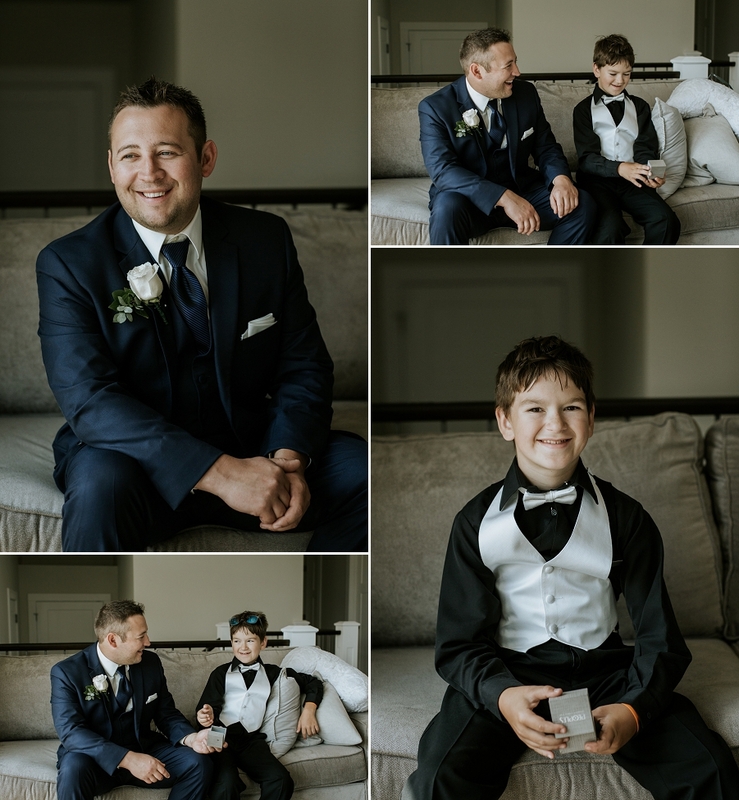 They played video games with Braysen the ring bearer, enjoyed a few cold beers, and tried to figure out the point of a boutonnière. 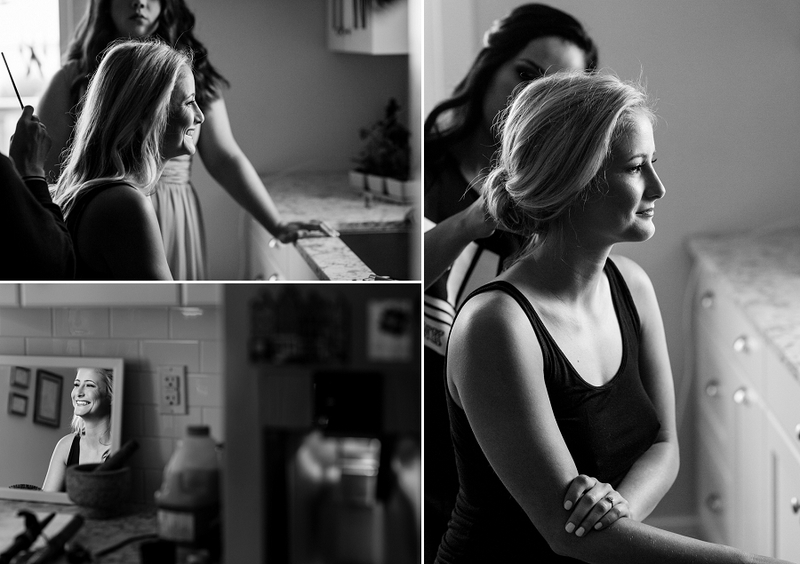 Down the road at home, Audrey got ready with the girls. 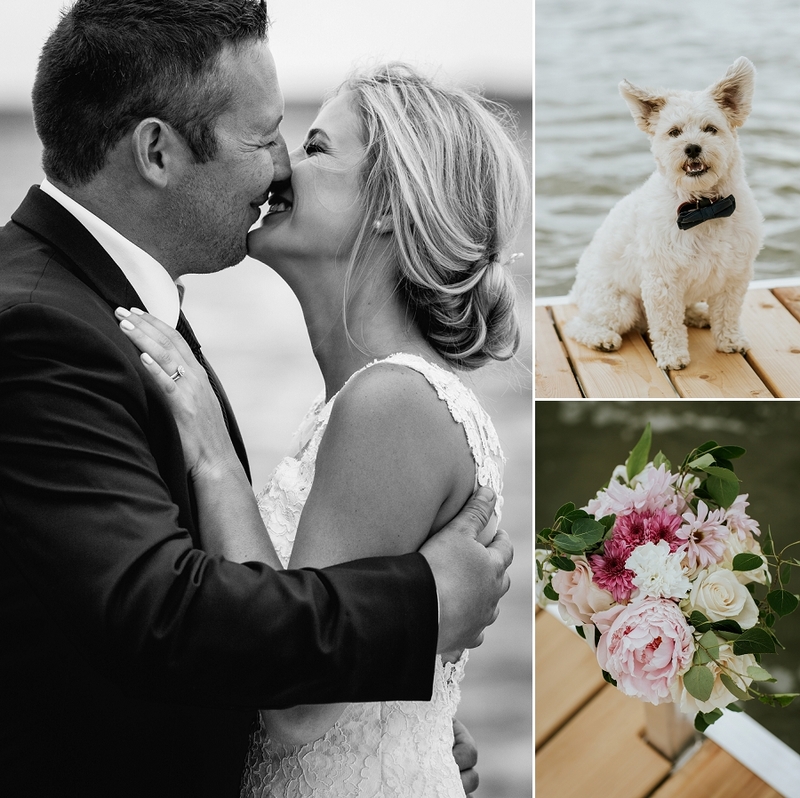 They cranked the tunes, popped the champagne, and helped doggies Louie and Dodge into their tiny bow ties. 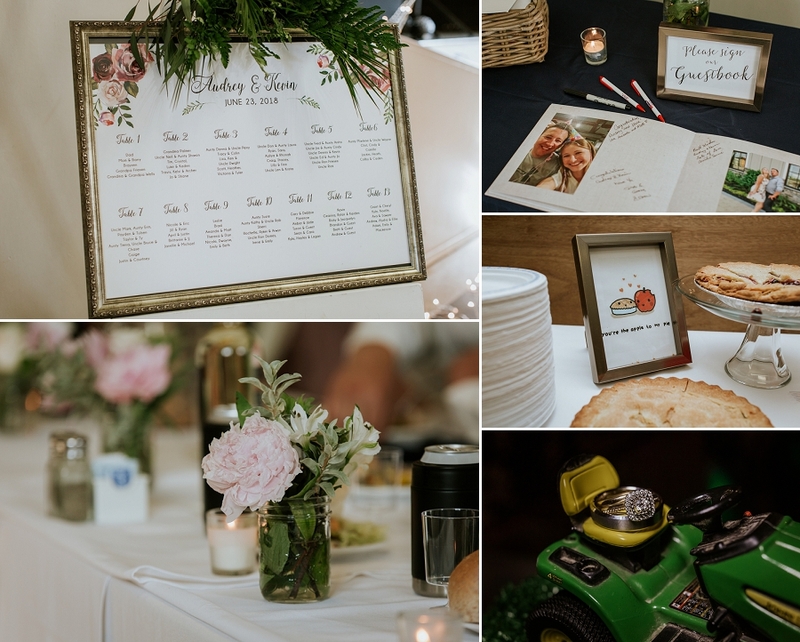 If there was an award for the chillest bride, Audrey would be adding it to the shelf next to Kevin’s lawnmower drag racing trophy. 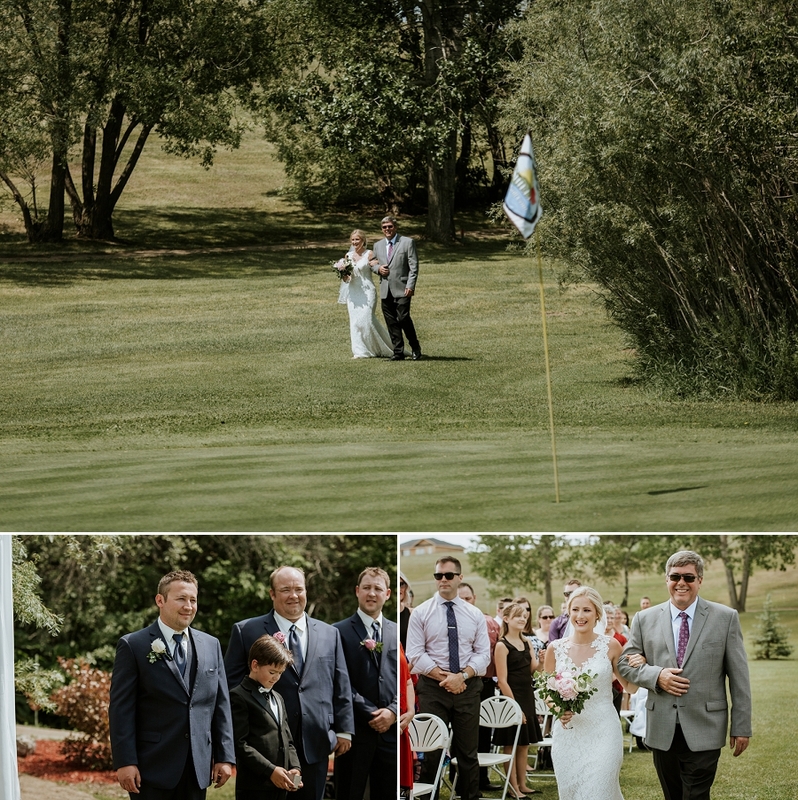 The June sun shone down on the lakeside golf course as Braysen tried his best to herd the flower girls down the aisle. 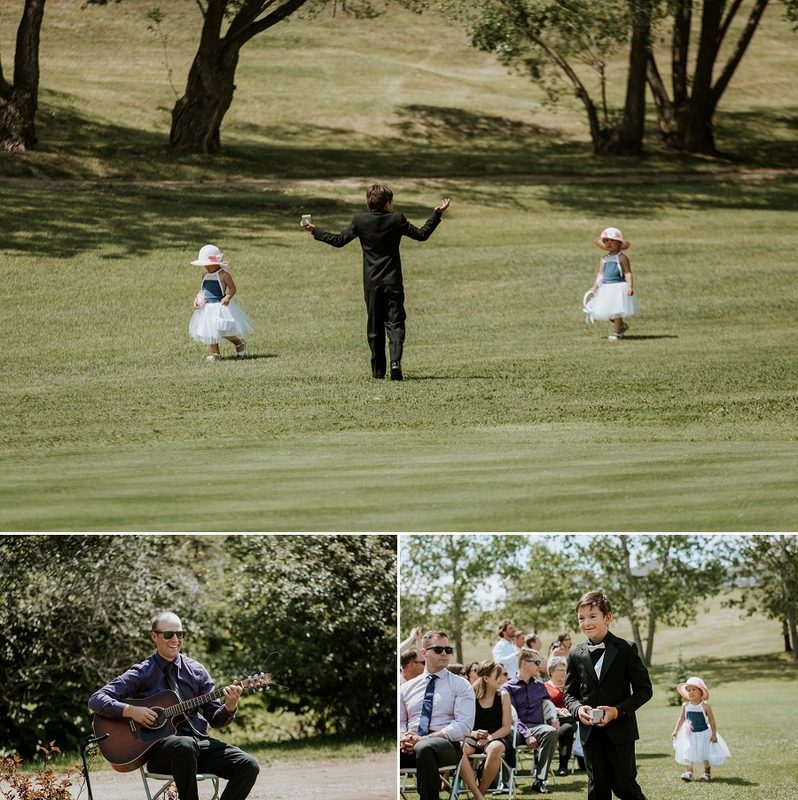 A friend played guitar as Audrey walked in on the arm of her father. 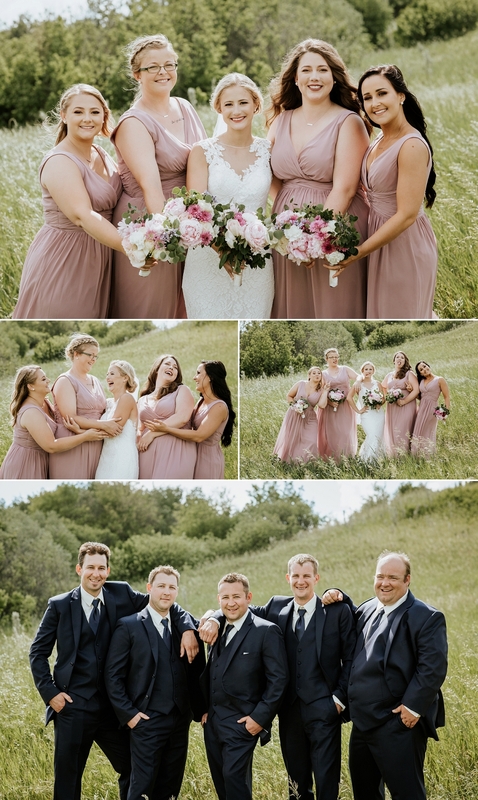 After the sweetest ceremony, the wedding party went down to the lake for photos. Before long, a sudden storm blew in, forcing us back to the house. 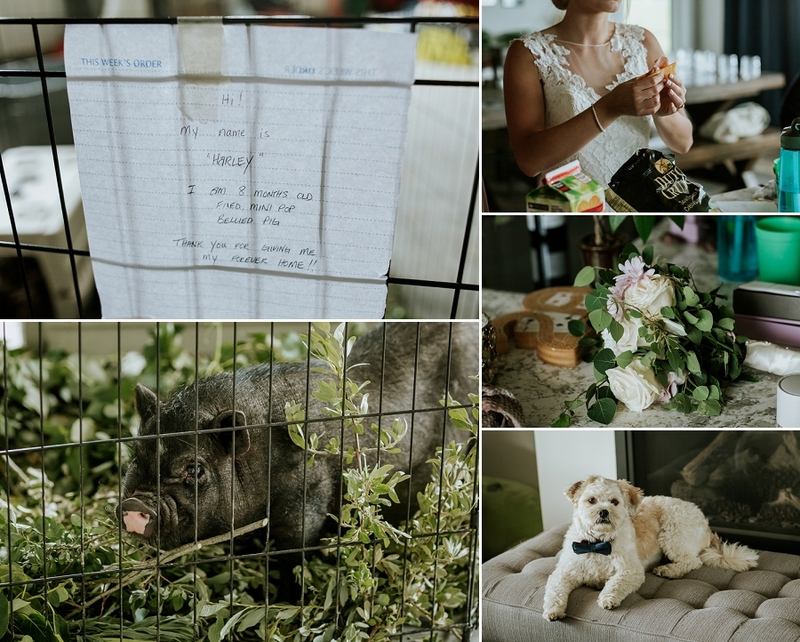 Awaiting their arrival in the garage was a mystery wedding gift – Harley, the miniature pot-bellied pig! 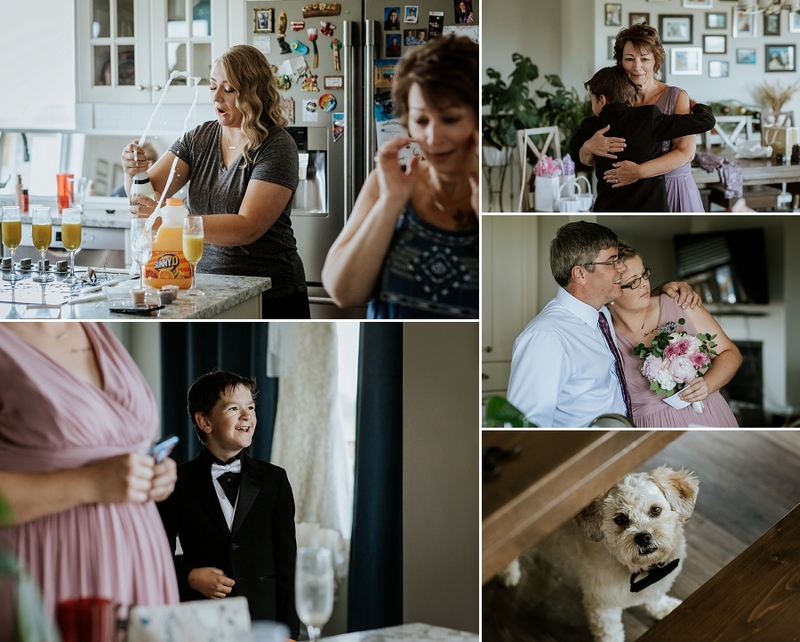 Turns out Audrey’s family has a tradition of giving random anonymous gifts at milestone family events – the mystery gifter was busted at the reception, and Harley was reunited with his family. On the way to the reception, we visited Audrey’s family farm. 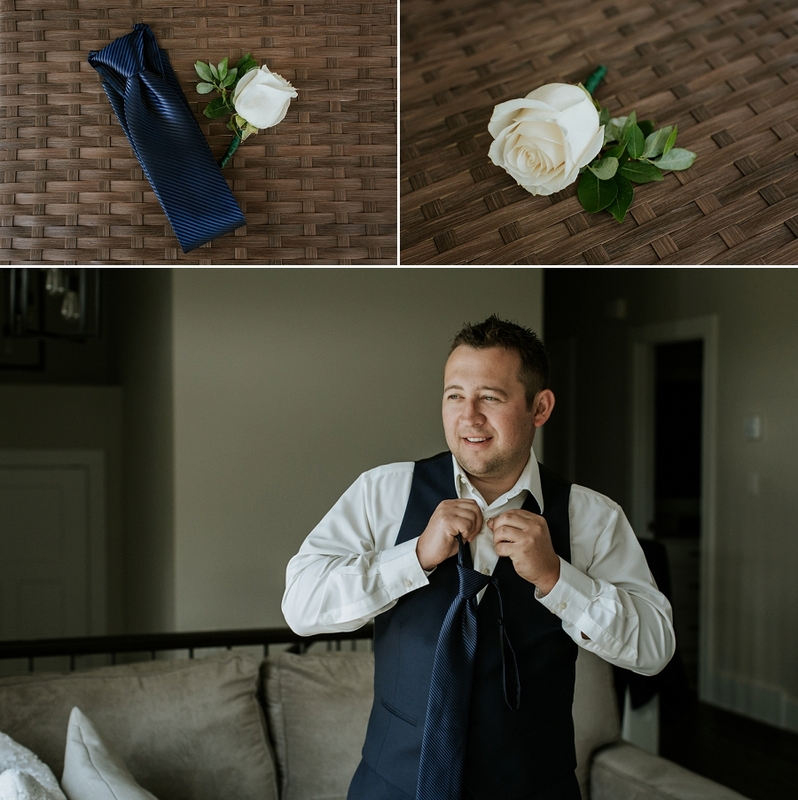 Kevin loves his toys, and recently bought himself a Corvette, so a wedding photo with it was a definite must! 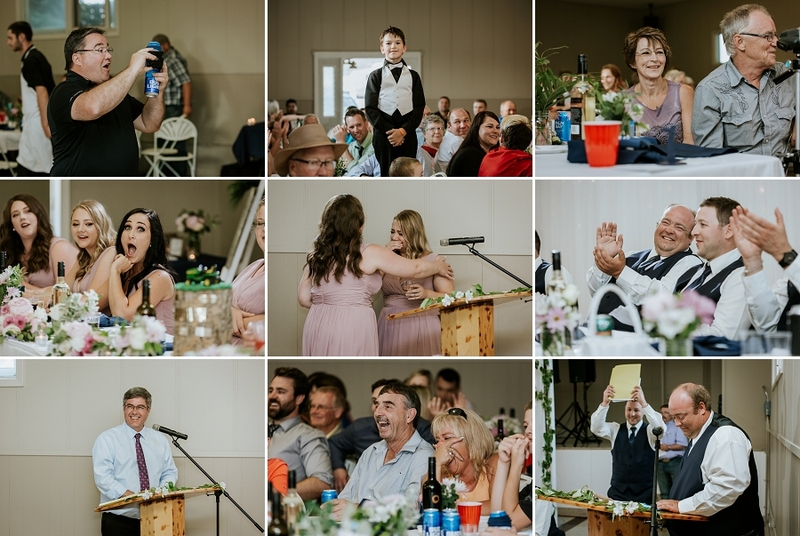 A pit stop at their local hangout, Big Mur’s Tavern in Dundurn, was also on the list. 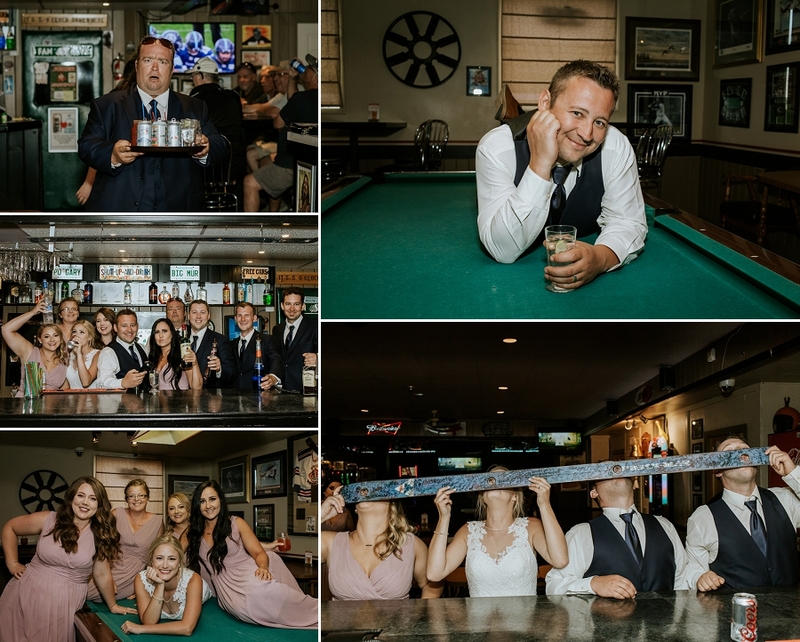 The bartender directed an impromptu photo shoot on the pool table, and they couldn’t leave without a shot-ski before heading over to the hall to dance the night away. 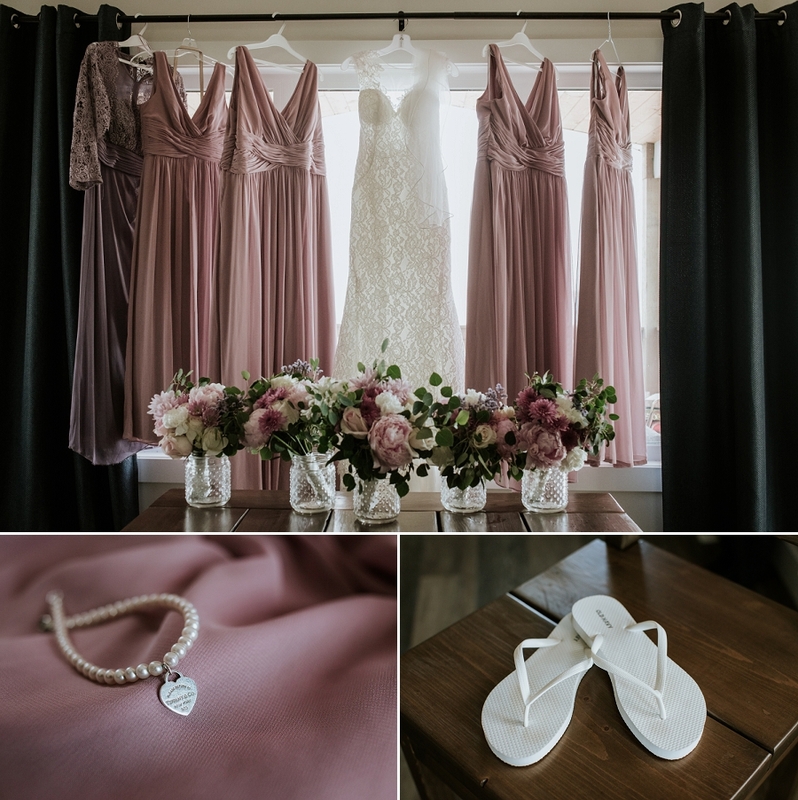 “Tracy photographed our wedding June 2018 and I am so glad she did! 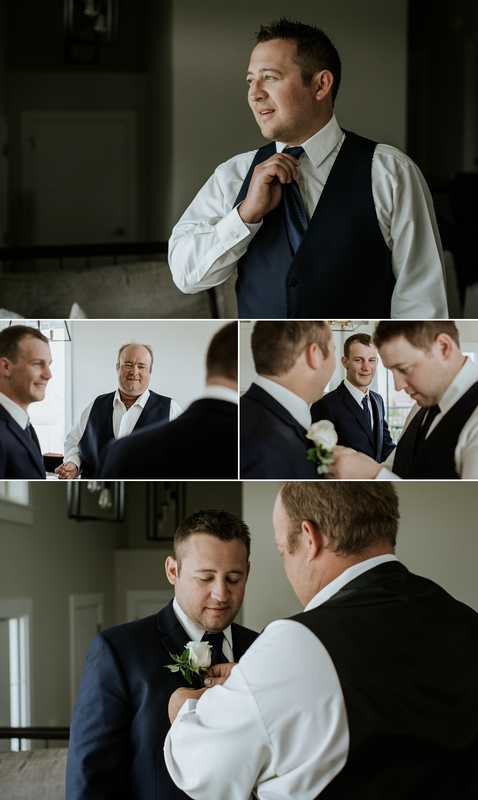 Our photos are amazing!! She was very professional, easy to get a hold of and to communicate with. 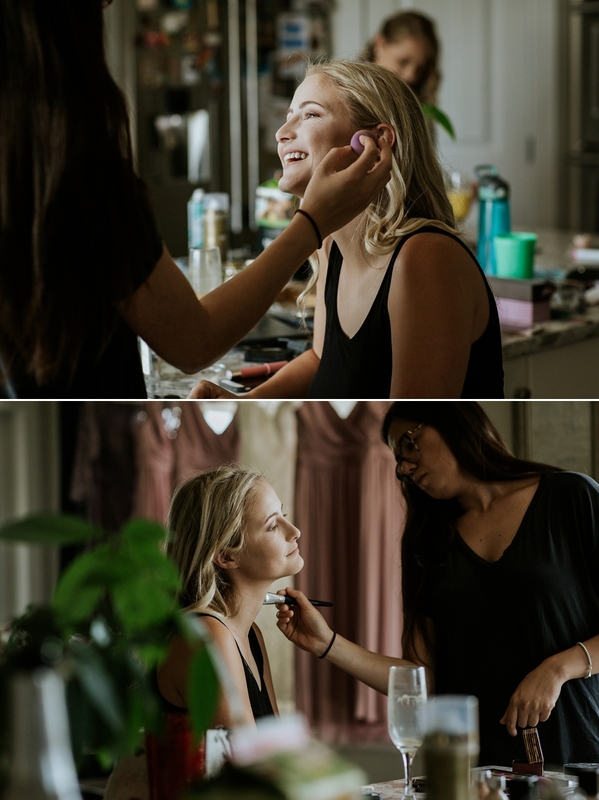 She was easy to talk to and plan the day with, had great ideas and input that we ran with but was also very flexible and receptive to our ideas. 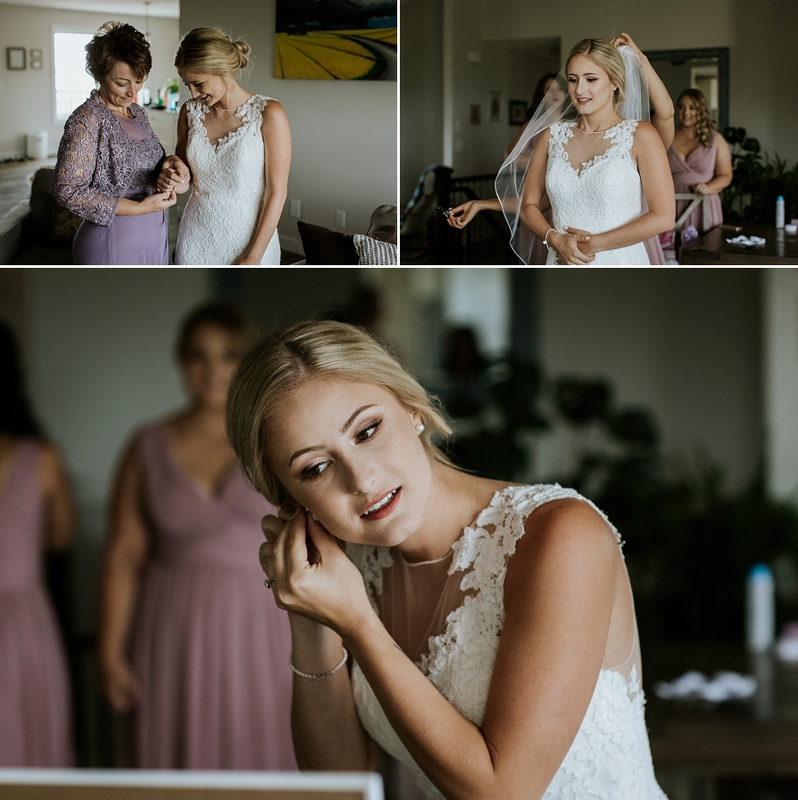 We are not necessarily used to being in front of a camera like that, but Tracy made us feel comfortable and it turned out to be a great experience. Nothing felt contrived, it was just easy. Speaks to her expertise I think. 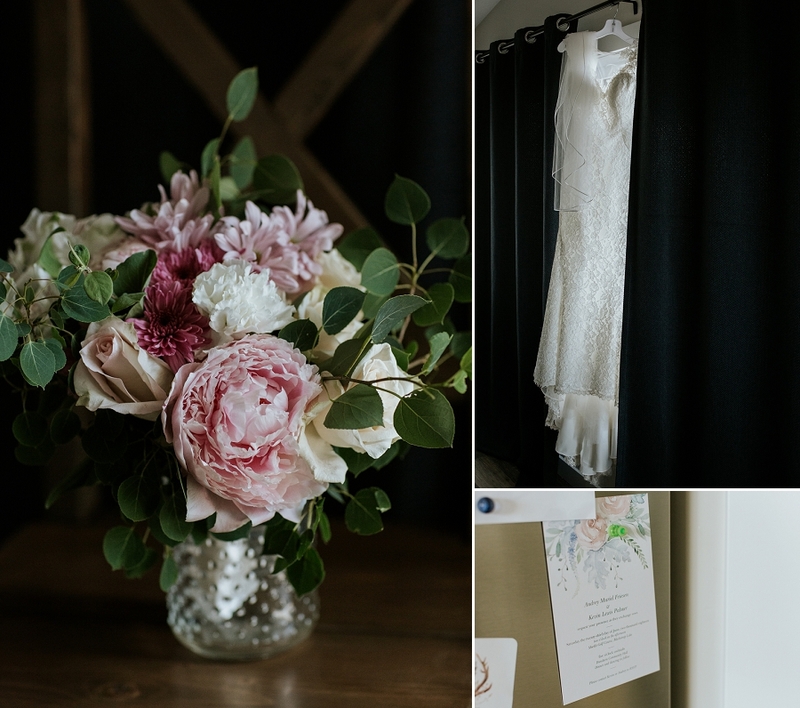 Blackstrap Lake wedding photography by Copperblue Photography and Design. 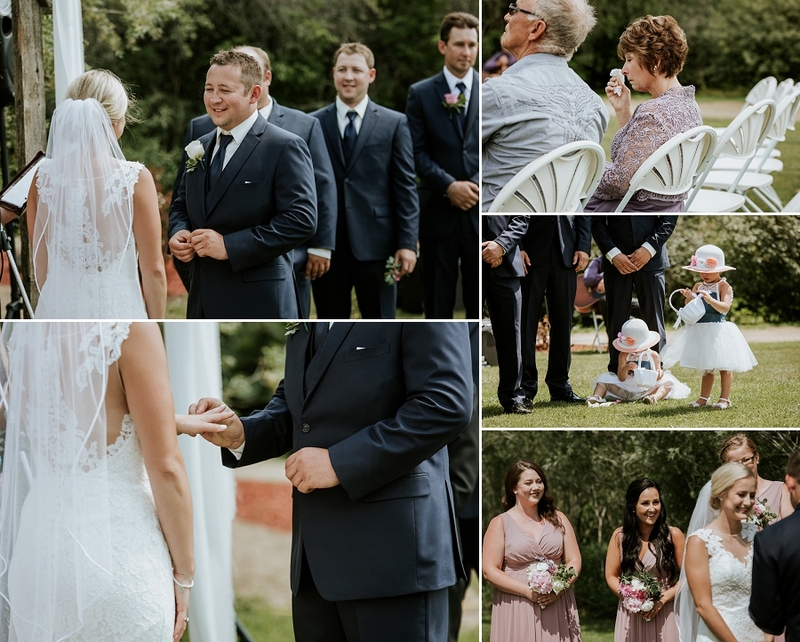 Serving central and northern Saskatchewan including Saskatoon, Warman, Martensville, Outlook, Rosetown, Dundurn, Humboldt, Prince Albert, Candle Lake and beyond. 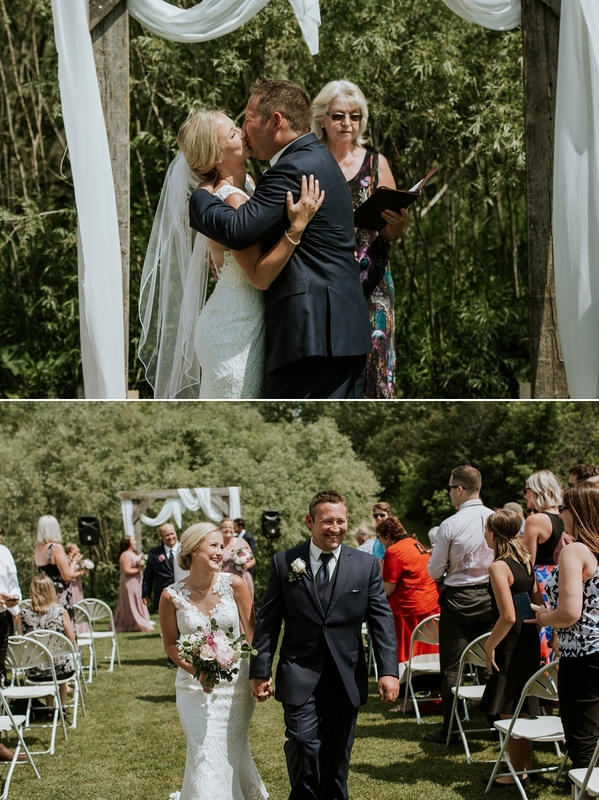 Beautiful wedding photo! 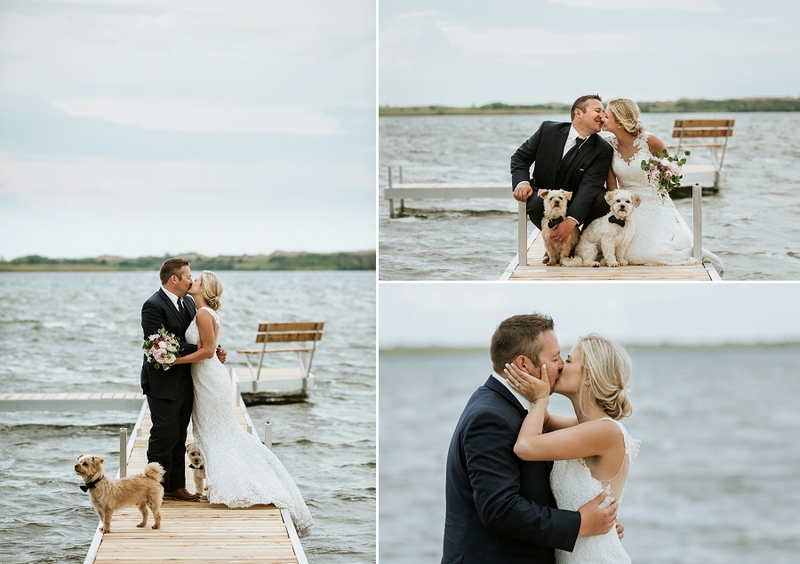 I love the story about how they met and that they included their dog in the special day. 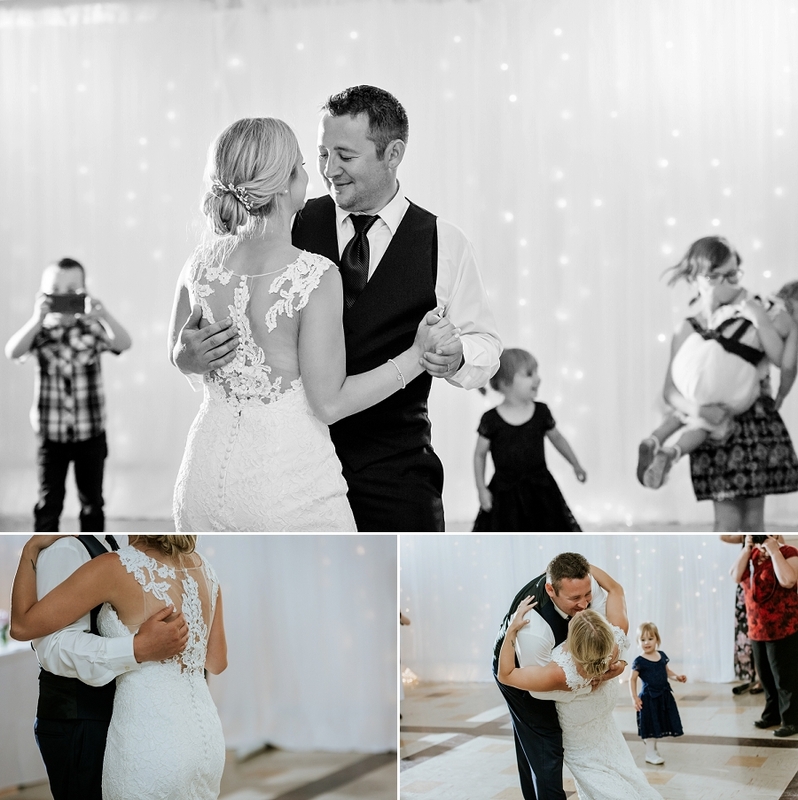 What a gorgeous and fun wedding! I love the lake shots! Thank you! 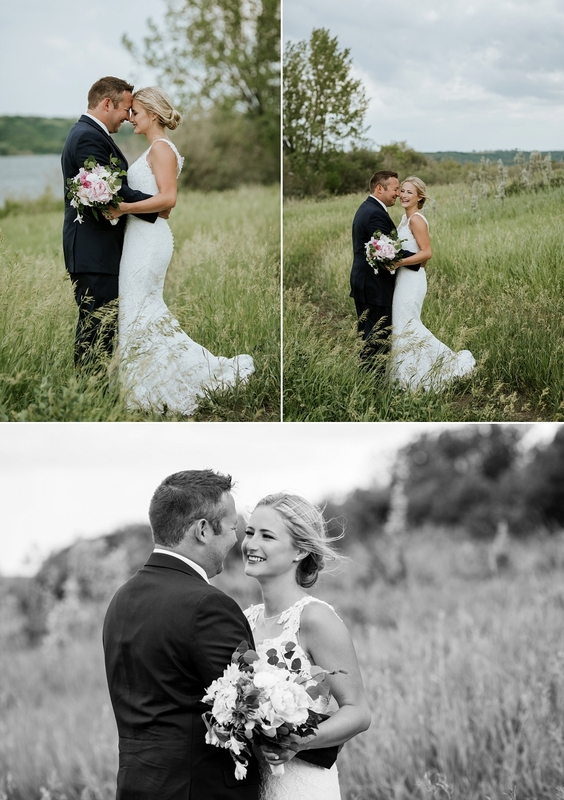 I do too – we had a bit of crazy weather that cut into the lake time but I love what we got so much! 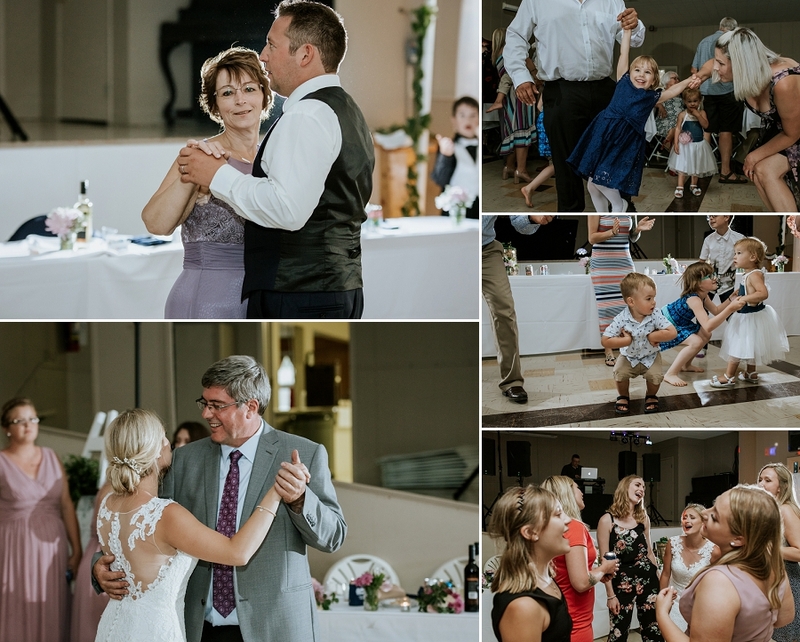 It was such a fun wedding! Thanks Rose! I love the lake and grassy fields! Amazing shots!! Thanks Diane! Such a beautiful place to live!